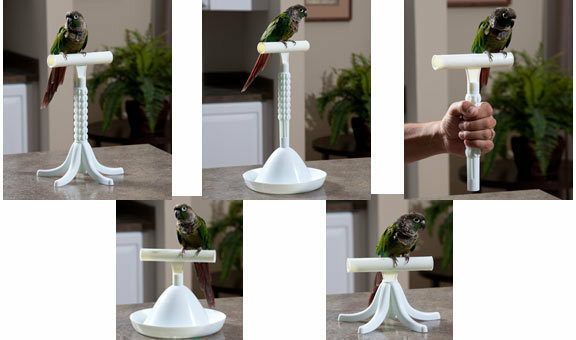 The Perchers Configurations-Caitec/Paradise for birds is made up of four component parts -- perch, cone, handle, base -- that twist and lock together which allows for multiple configurations all in one product. 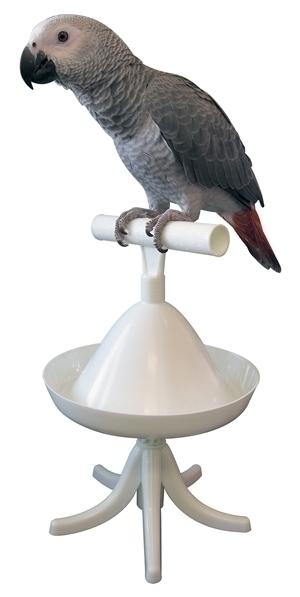 Because the Percher is portable, users can enjoy their birds anywhere and at arms length without the threat or mess.The Percher is a training tool that provides a fun and safe way to enhance the interaction between the bird and the human. It can switch from being hand held to free standing very easily. 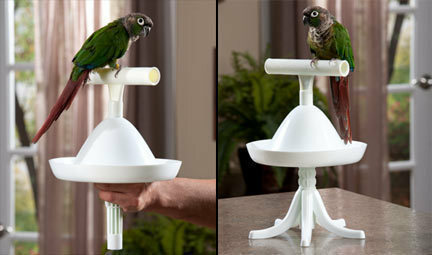 Its unique design catches waste and is easy to clean and is portable. Notify me when Perchers Configurations-Caitec/Paradise is in stock.